As 2016 draws to a close I would like to thank you all for your interest and support throughout the year. 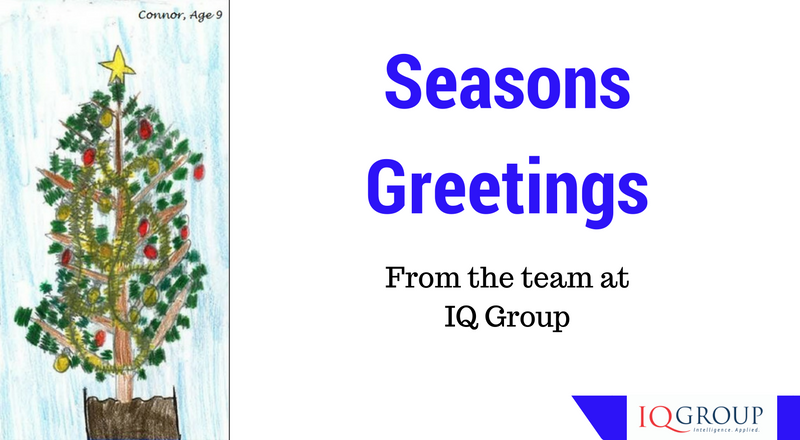 On behalf of the team at IQ Group, (including Connor aged 9 who won the art competition for our Christmas Card), we wish you and your families, the very best for the holiday season. We trust that 2017 will bring you good fortune and good heath, and we hope to continue to be part of your world in 2017. This week we speak to Brian Peters about the annual benchmark study on what the top 50 funds are doing about digital engagement with customers. We asked Brian what he thought the most important messages from this year’s Digital Engagement Study were. Ticket to Play – this is a simple concept about playing in the digital space. With more funds entering the digital space and being more engaged in a digital language, the ticket to play means more investment and more activity to stay in the game. Heightened Integration – there is a greater need for integration – and much more comprehensive integration – between what is digital and what is not digital for all funds. Increased Challenge – the challenge for digital engagement is becoming broader as it needs to cover the member all the way through to fund administration, which for many funds they outsource. Ongoing Innovation – any fund today must differentiate itself from the competition. It’s easier than ever to move. 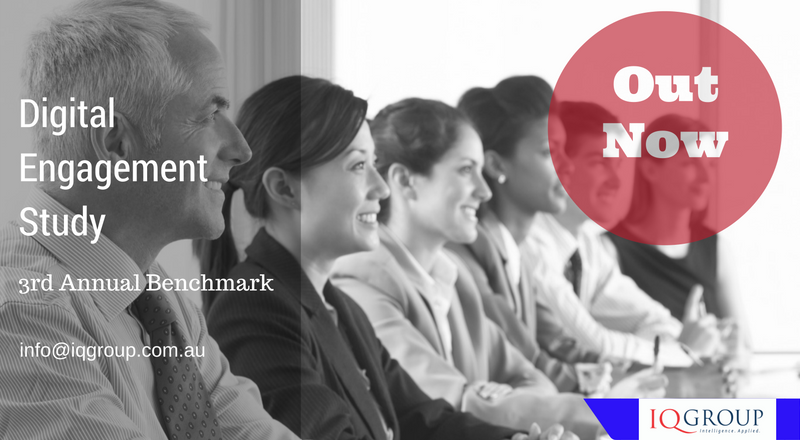 Don’t miss the 3rd annual Digital Engagement Study – request your copy today from info@iqgroup.com.au. Find out why we think Advice is the New Black – IQ Group Digital Engagement Study 2016. We are once again pleased to publish our annual benchmark study of the Australian superannuation sector’s digital landscape. 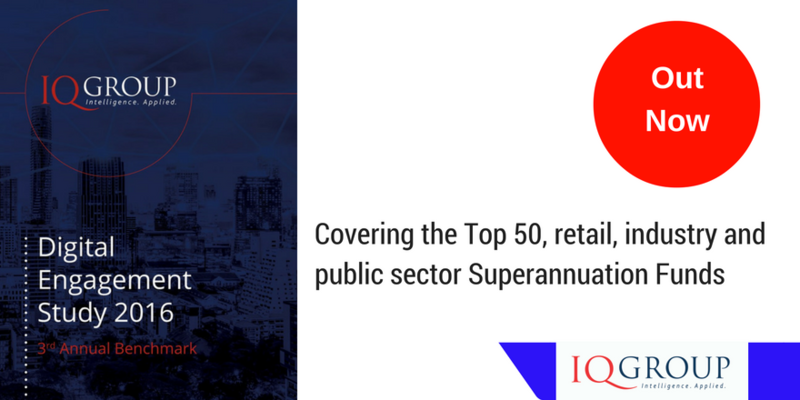 For a full copy of the report email info@iqgroup.com.au.